Decorative Christmas accents for the home or kitchen are great when they are also functional. 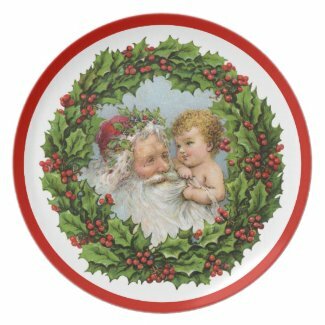 These Vintage Christmas plates make lovely decor items, but also beautiful ways to serve holiday cookies or other food. Double duty gives you extra value. These plates are some of my favorites. Since I love the look of vintage Christmas decor, any one of these makes a great addition to my home or kitchen decor. 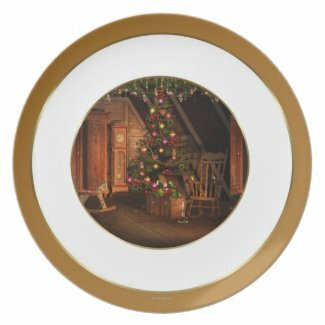 If the delightful look of vintage is your favorite as well, choose one of these decorative plates to accent your holiday decor. 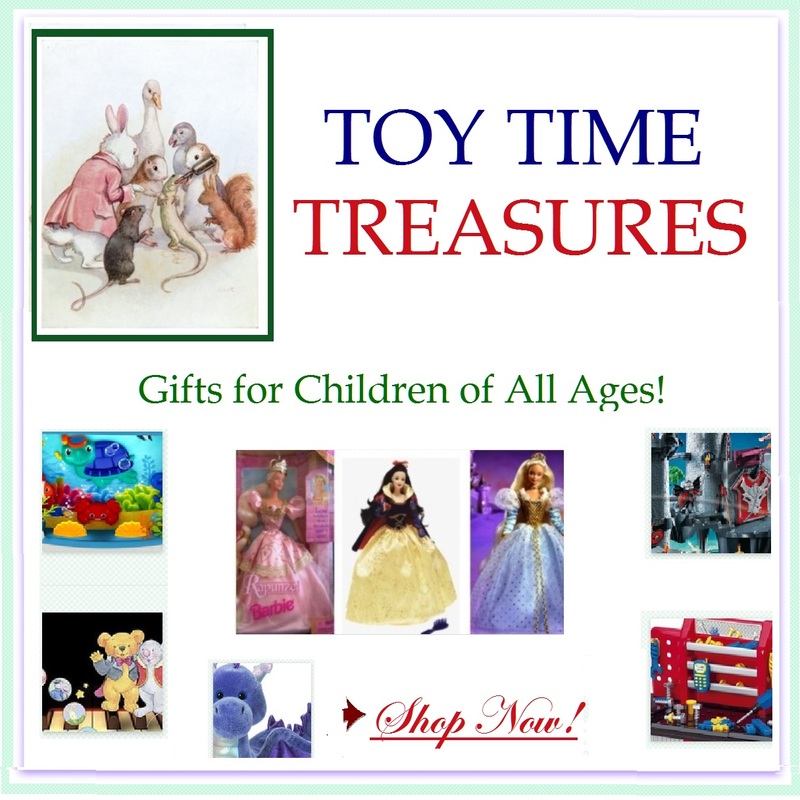 Since we are always looking for good and unusual gift ideas, I thought you might like to know what I did for my family. It seems I am getting known for my fun Christmas cookies. I decided they would make a great gift for all the family members. Plenty of aunts, uncles and cousins get together and share gifts each year. I chose several different designs of decorative Christmas plates, then loaded them with my asked-for Christmas cookies. All I had to do was wrap them in decorative foil, add a bow and I had perfect gifts for all those family members. Not only did they get to enjoy the cookies, but they had a lovely holiday plate to keep. Do we ever have enough holiday serving dishes? For me, the answer is no. The addition of a few vintage Christmas plates certainly helped. They work great for things like appetizers, side dishes and desserts. Just picture a cheese ball with crackers set around it on one of these holiday plates. My deviled eggs look great on one as well. Think of how beautiful your Christmas cupcakes would look on a holiday plate. Think of all the holiday foods you serve that will work great on a plate. Your Christmas table will be extra festive especially as the food is consumed revealing the beautiful vintage image below. One of the things I love about these plates is that they are beautiful while still being break-resistant. That means even the kids can use them without fear of breaking one. Dish-washer safe, they are easy to clean. Best of all, these designs come from some very talented artists, so there are plenty of gorgeous holiday plates to choose from. You and your guests will be so pleased. I have been collecting plates for nearly 40 years and I was more than thrilled when Zazzle introduced the plates to their line. These are all really beautiful plates! I also love that there seem to be plates that I would elect to use as display only, but others that I would use to serve food. I love all things vintage so the designs for these decorative plates certain struck a cord with me! 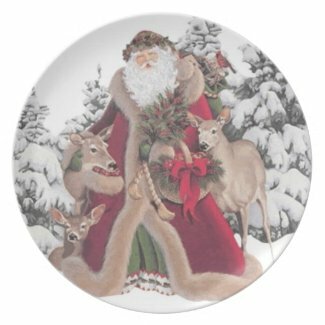 What a great idea to bake some homemade goodies and gift them on one of these Christmas plates.